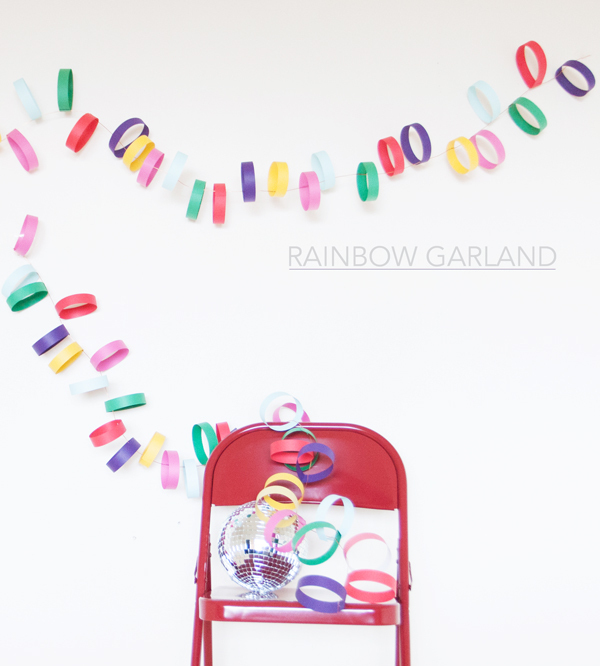 I am loving this fun rainbow garland! 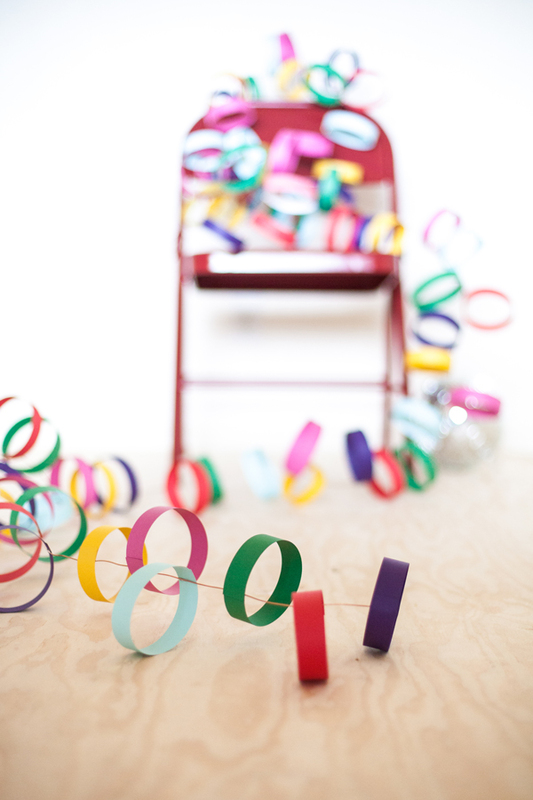 We crafted it using paper rounded into circles for a whimsical and unique take on the rainbow garland trend. With Saint Patrick’s Day coming, and a spring sky filled with clouds today – the hope of a rainbow is seemingly everywhere. 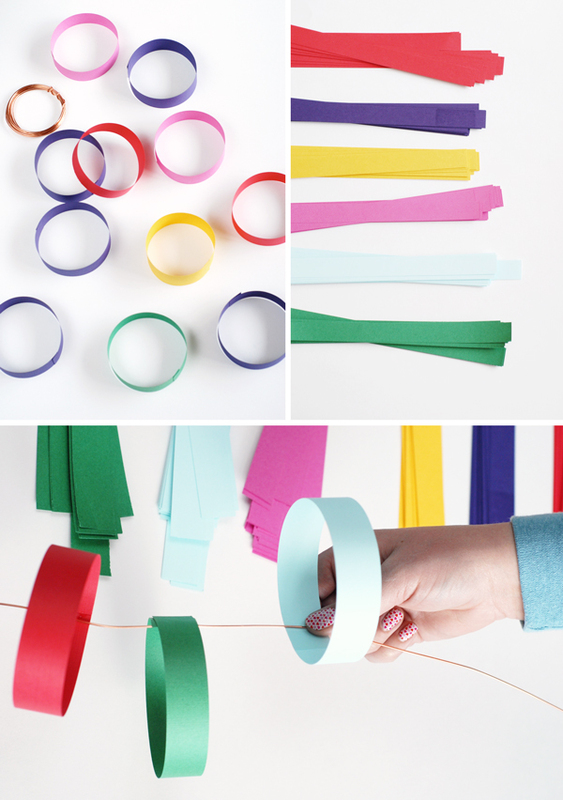 This easy to craft rainbow garland is a great solution for last minute St. Patrick’s Day decor. 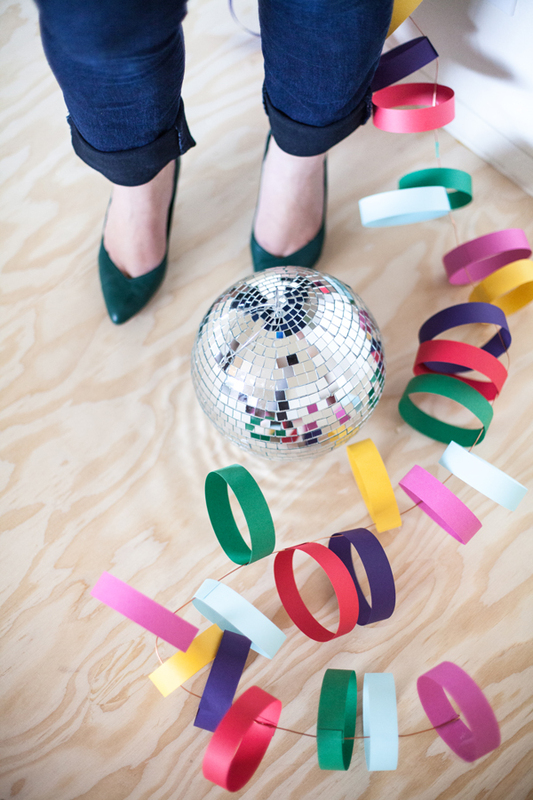 Plus, it’s one of those party pieces that works to brighten up moods on any old day. 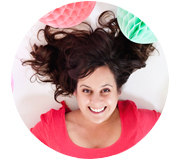 If you happen to be planning a rainbow party (and why wouldn’t you be?) 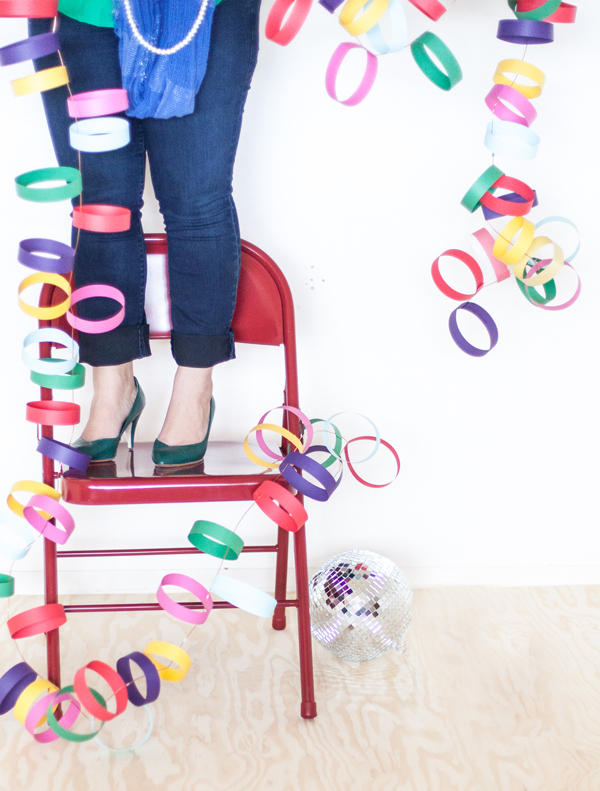 this rainbow garland is a fun jumping off piece. Pair it with rainbow waffles, rainbow candles and any one of these rainbow crafts to host a gathering that will part the clouds and melt the snow (*claim not scientifically proven). Cut 2 inch lengths of bright colorful paper. Our circles are 12 inches by 2 inches (made using 12×12 scrapbook paper). The garland can be made smaller or larger depending on your paper size. Glue the circles together overlapping onto a thin piece of floral wire. The floral wire is necessary – using string will not allow the circles to stand up when hung horizontally. Mismatch the colors and the sides sporadically as the garland is created, for a fun and whimsical take on hanging a rainbow indoors! (Photography done by Jocelyn Noel for A Subtle Revelry). PS. 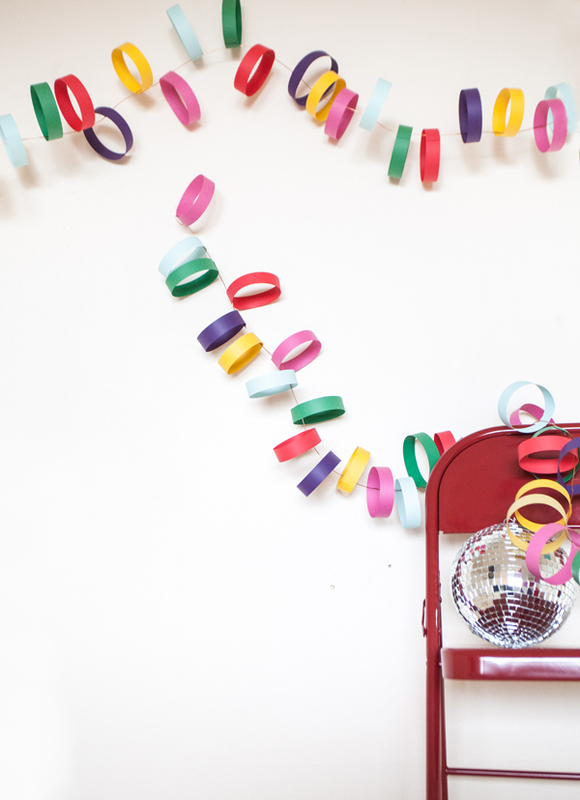 Looking for more garland ideas? We’ve got you covered, check out the garland gallery!